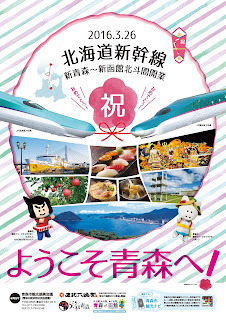 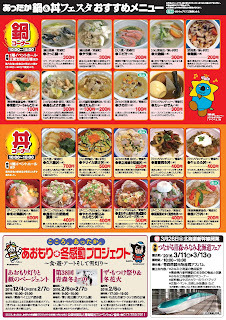 Various events celebrating the opening of the Hokkaido Shinkansen line. 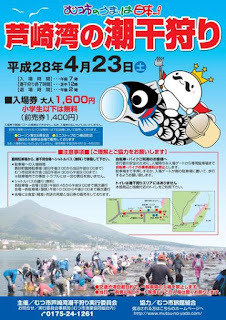 A once-a-year event where the public can enter the Ashizaki Bay area used by the Japan Self-Defense Force to enjoy a morning of clamming. 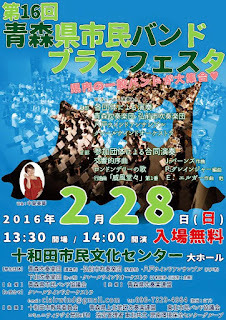 Exhibits and presentations/performances from various Mutsu City clubs/circles. 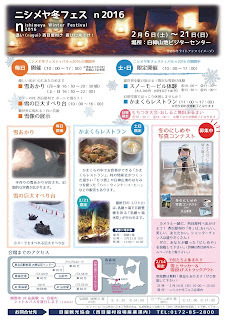 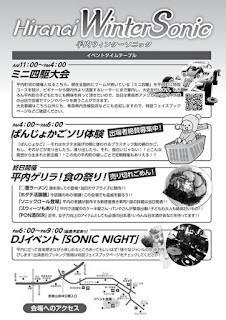 Free admission to the Mutsu Science Museum for six days at the end of March. 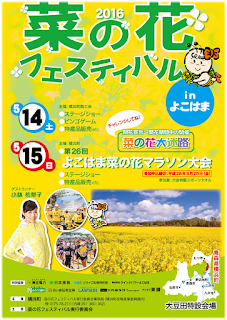 The 26th annual "marathon" (10km, 5km, 3km, and 2km courses only) is part of the Canola Festival in Yokohama Town. 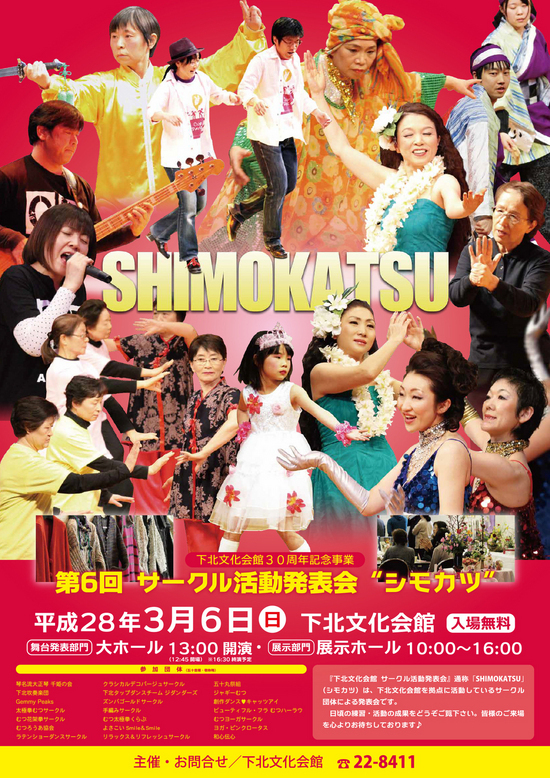 An event showcasing the works/activities of various cultural activity groups. 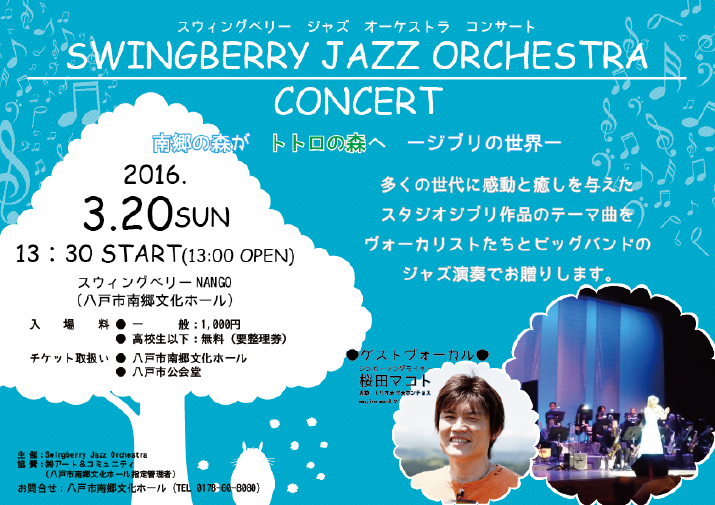 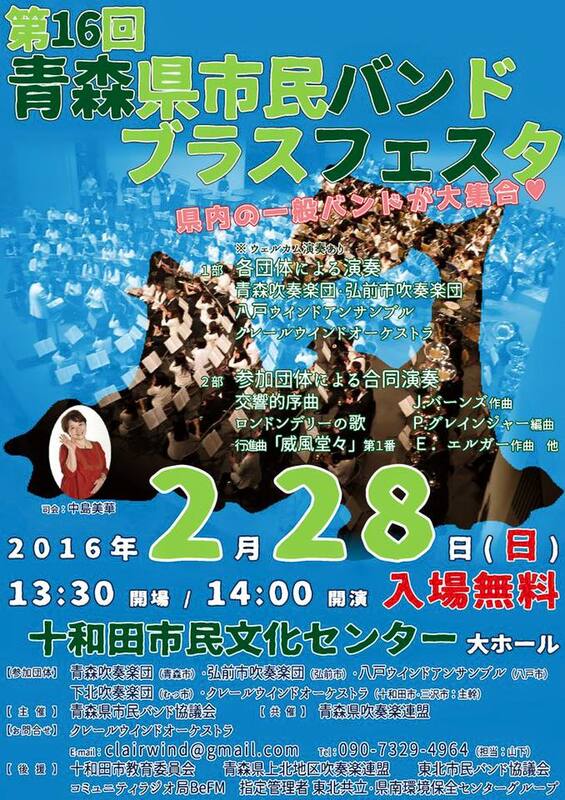 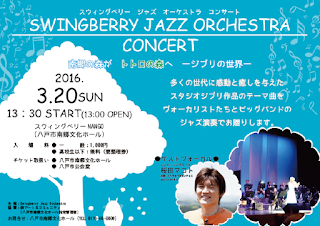 Enjoy beloved Ghibli theme songs in a big band jazz performance featuring guest vocalist Makoto Sakurada. 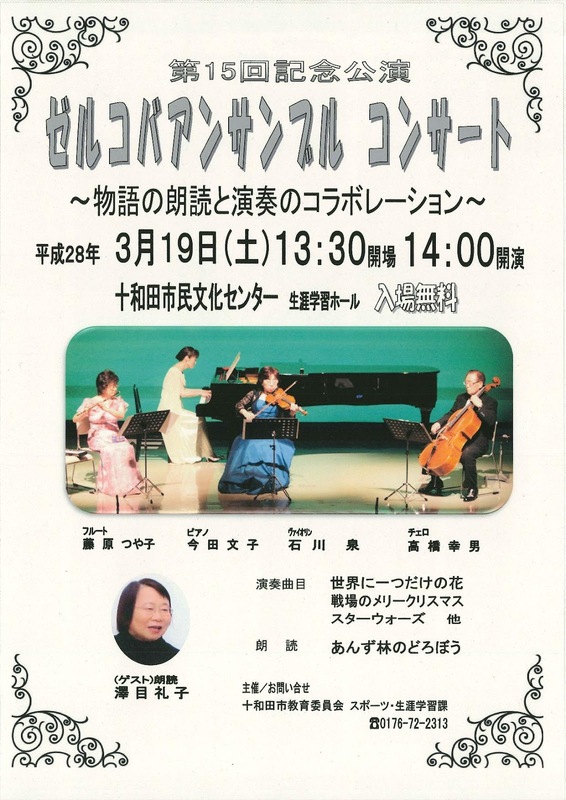 Enjoy a special recitation and music collaboration to celebrate the 15th performance of this local Towada 4-piece ensemble (flute, violin, cello and piano). 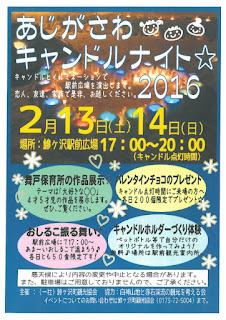 A festival celebrating Misawa's favourite winter seafood, hokki (Japanese surf clam, a.k.a. 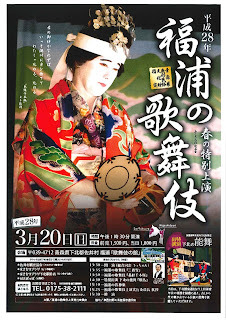 hokkigai). 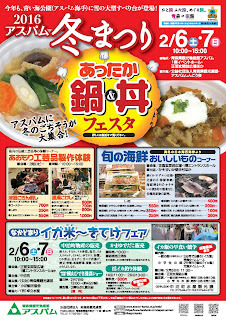 Events include free samples of hokki cuisine, hokki and other local product sales, a clam shucking competition, and children's taiko drumming performance. 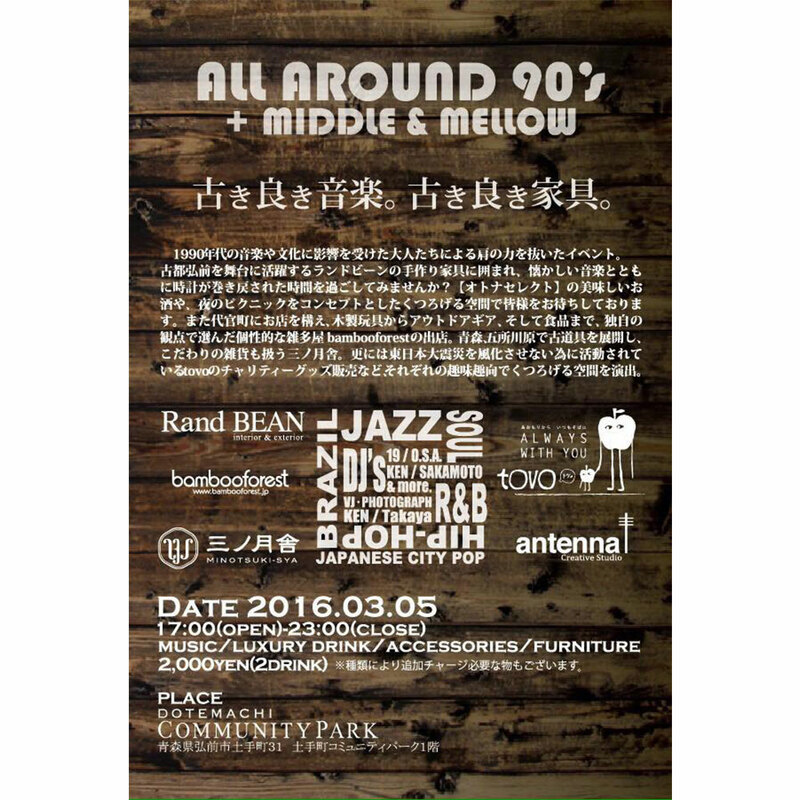 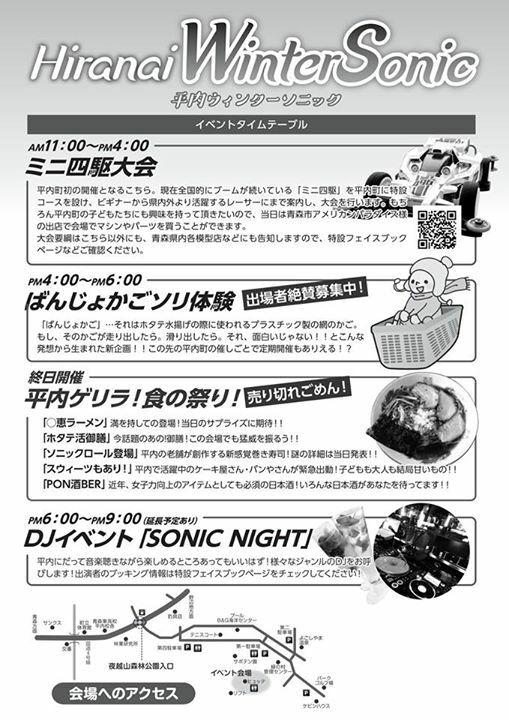 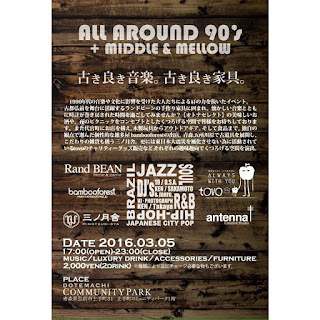 Enjoy some good alcohol and an "evening picnic" with 90's music, handcrafted furniture, and specially selected crafts/goods (including 3/11 Disaster charity goods from "tovo") in Hirosaki. 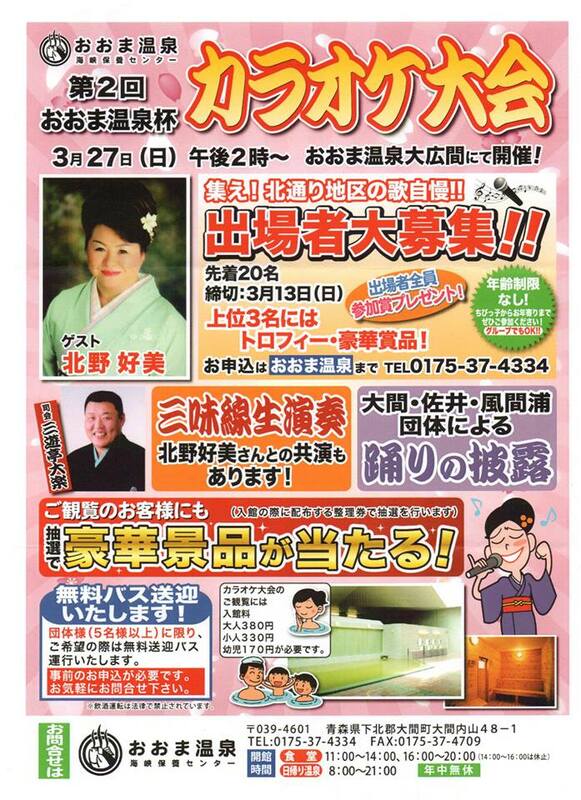 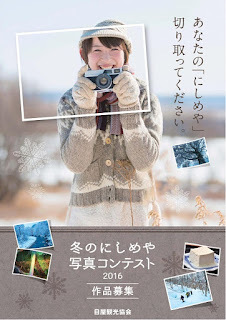 Towada City will be featured in this week's episode of "Shiawase Bombi Garu" (Happy Poor Girls 幸せ!ボンビーガール) airing tonight, Tuesday February 16, 2016, at 10pm on Nippon TV (NTV or RAB in Aomori). The show will feature Tokio singer & bassist Tatsuya Yamaguchi, and announcer Kyoko Uchida taking a trip to Yamayo, a local "super cheap" supermarket with 2000yen to spend on ingredients for a meal for 10 people. 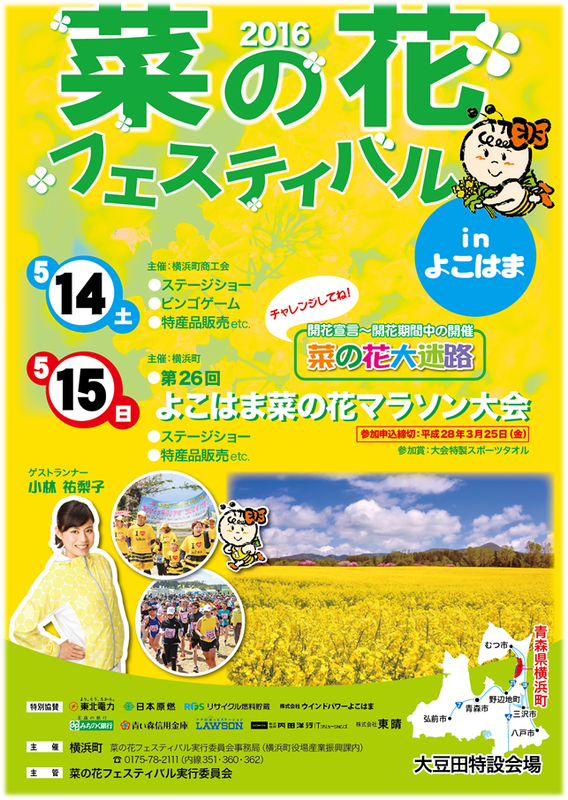 Local mascots Towada Families will also make a special appearance. 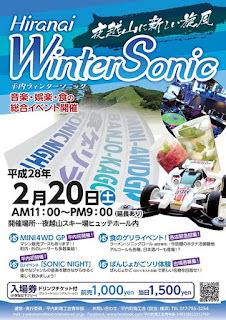 Head to head downhill ski races ("Dual Race") in the morning,. 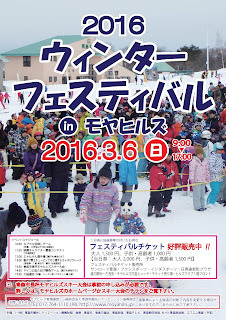 In the evening, skiing with lit pine torches to make characters out of fire, and fireworks. 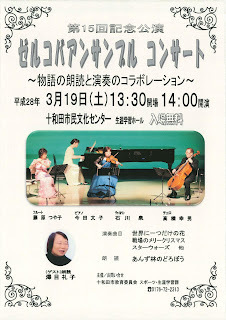 Disaster recovery fundraiser and memorial event for the March 11th, 2011 Great East Japan Disaster. 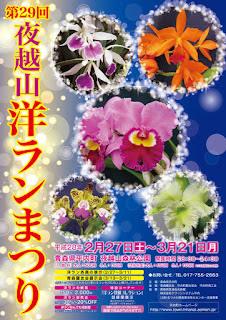 See approximately 150 types of orchids! 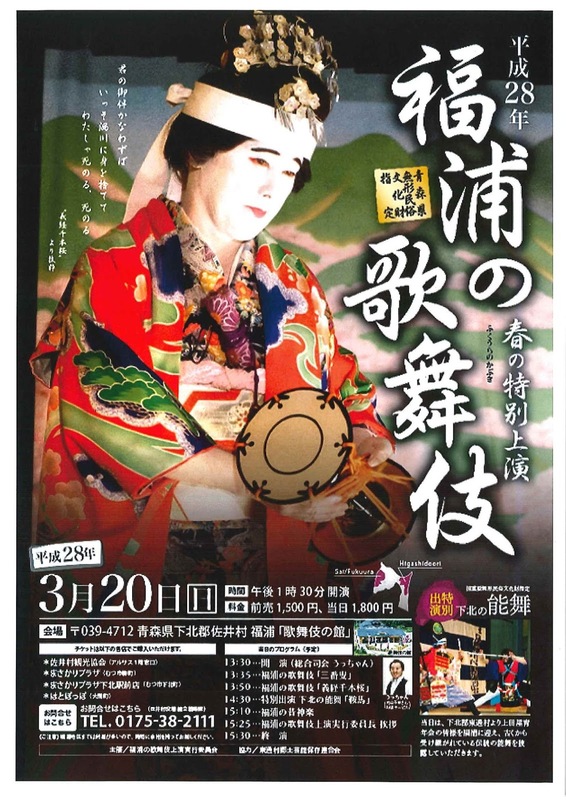 Fukuura Kabuki is a northern style kabuki passed down by fisher people in Fukuura (Sai Village) for over a hundred years and is an Aomori Prefecture designated Important Intangible Folk Cultural Property. 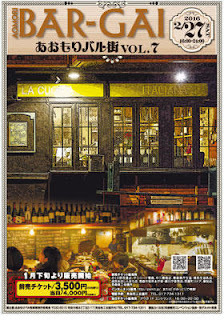 A winter entertainment, music and food extravaganza! 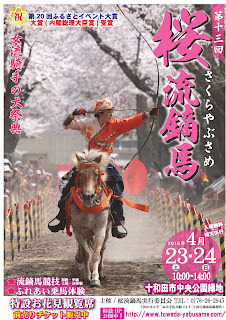 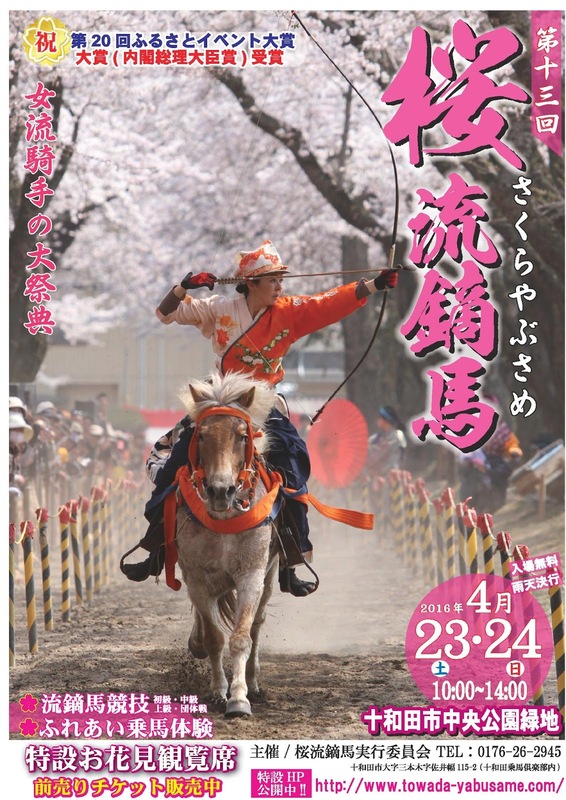 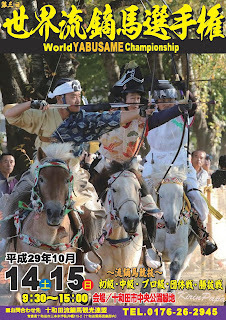 Women's yabusame horseback archery competition under the cherry blossom trees! 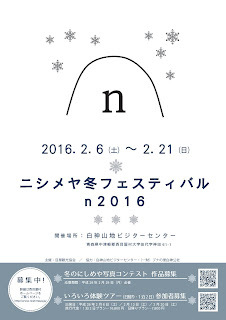 A modern art exhibit hosted in a 240 year-old sake brewery. 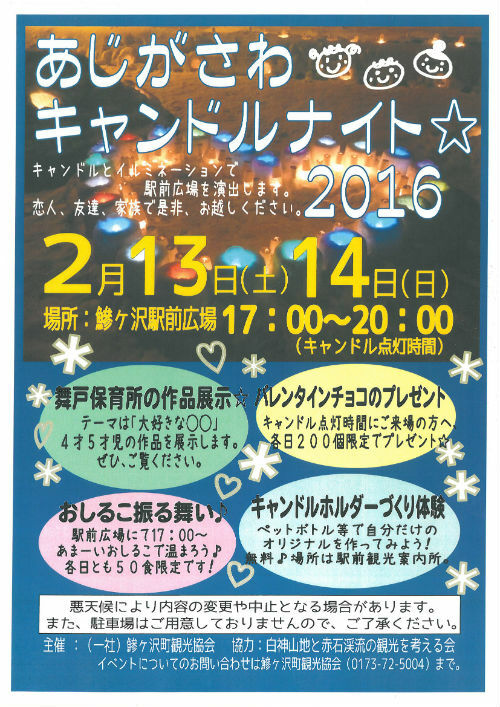 The Towada City Library will be closed from Monday February 22-Friday February 26, 2016 for a book collection inspection. 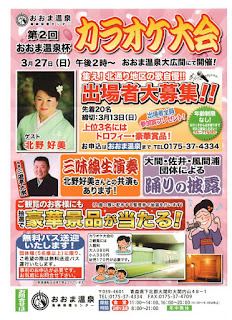 During this time, books should be returned using the book return drop box (返本ポスト). 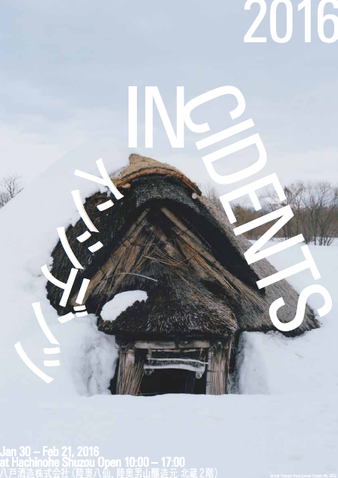 In order to prevent damage, CDs and DVDs should be returned to the library service counter. 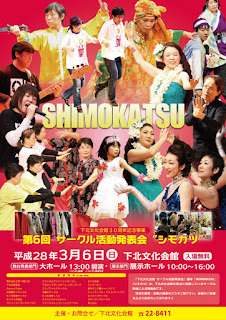 Performance showcasing various brass bands from around Aomori Prefecture. 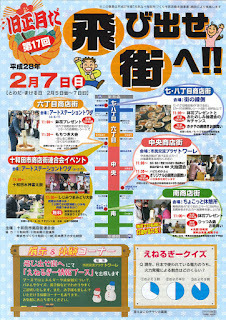 Central shopping arcade sales event celebrating lunar new year.